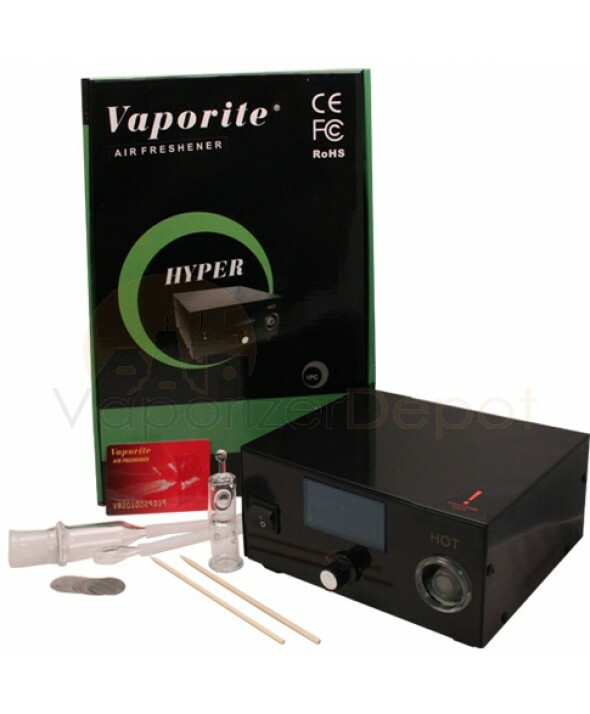 The "Hyper" vaporizer/air freshener from Vaporite is a heavy-duty machine in black metal framework. The ceramic heating element is controlled with a knob and is monitored by a dual digital LED temperature display (in Celsius or Fahrenheit) which shows both the actual and set temperature. The unit beeps to alert you once the set temperature is reached and your vape is ready to use! The power cable is included and features a North American standard plug, and the aroma bulb can be used to heat aromatherapy oils. Other accessories included: hose adapter, remote control, cleaning stick, a spare aroma bulb, and instructions in German, English, French, Italian and Spanish. Your Vaporite "Hyper" vaporizer comes with a manufacturer's warranty card valid for one year — just register your purchase with Vaporite within 10 days of receiving your new vape! I have purchased almost every vape that Vaporite has created for a few different reasons. 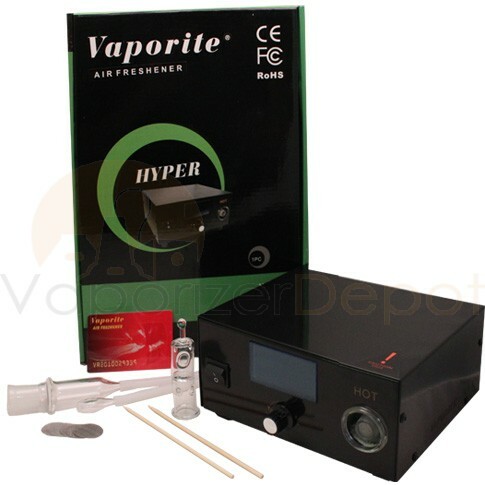 The first reason that I stay true to Vaporite is that they have great customer service, no matter what the issue has been I have always been able to get in contact with someone and have the issue resolved. The second reason is that I am a vape hoarder, so besides collecting vaporite vaporizers I pretty much buy any vape I can get my hands on. The third reason I love their vapes is the same reason that I only marked them average for aesthetics, they don't waste time making things look pretty, they just make vapes that work. They are like the Levis of the vape industry, you might not like they way look bu they are reliable and will last a long time.